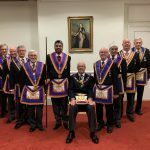 VW Bro Tom Quinn, DepPGM, and his Delegation were given a most warm welcome by the members of The Royal Naval Lodge No. 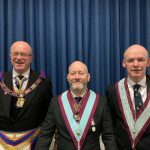 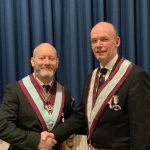 239, and were treated to a wonderful Installation Meeting. 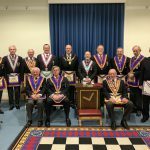 The Lodge was consecrated 1st February 1879 so this Meeting fell just short of its 140th anniversary. 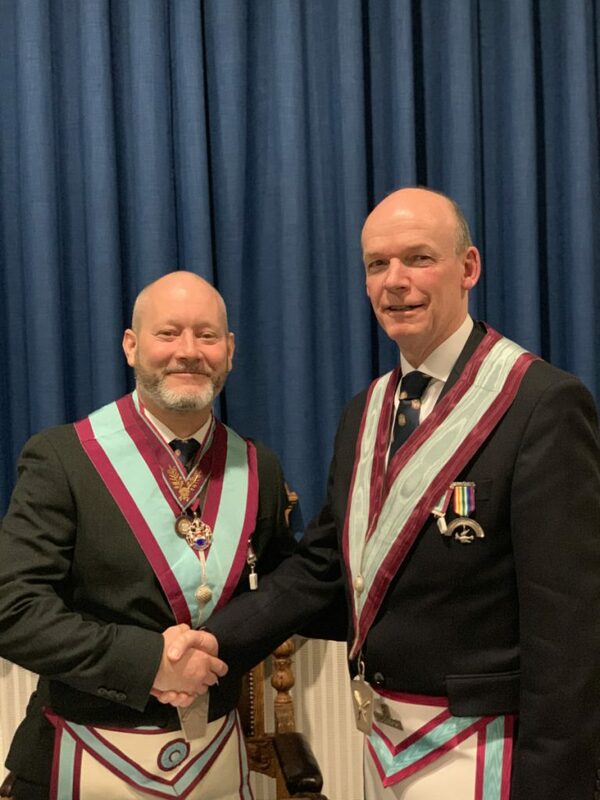 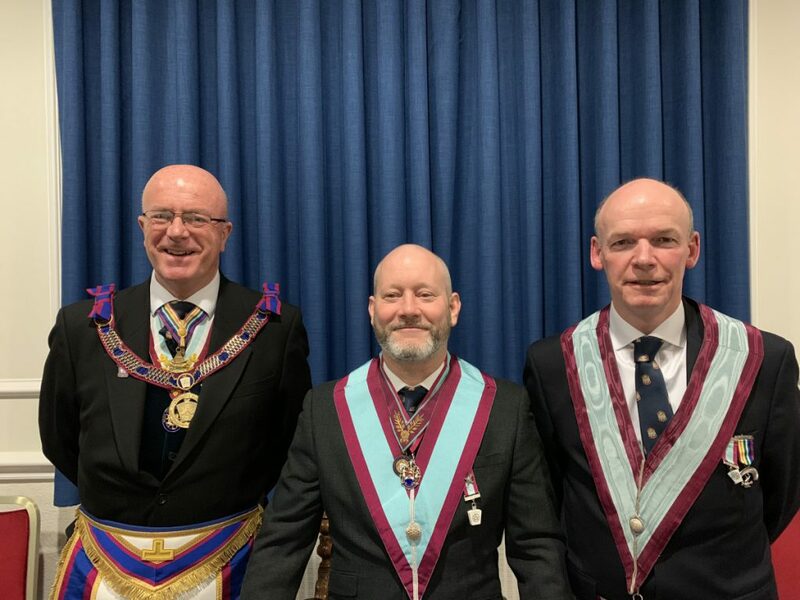 The Lodge’s out going Master, W.Bro Roger Keys delivered an excellent Installation Ceremony, assisted by his Officers, and in particular the out-going DC W.Bro Roger Cogan, who handed over the role to Roger Keys, after many years of dedicated service to the lodge. 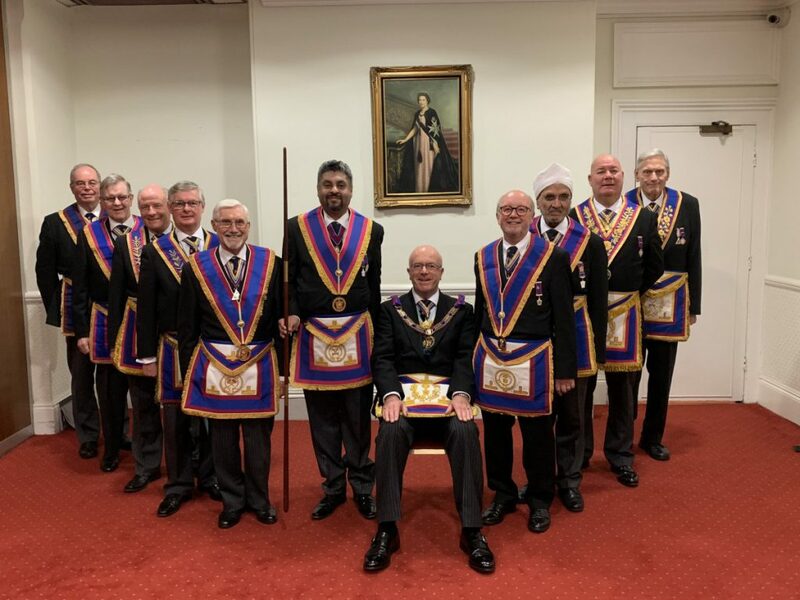 At the end of the evening the new Master, W.Bro Phillip Royan, assumed his duties in a most competent and efficient manner and the Members and the Delegation retired to a well earned and highly enjoyable Festive Board at the Royal Overseas League.